Calgary, Alta. 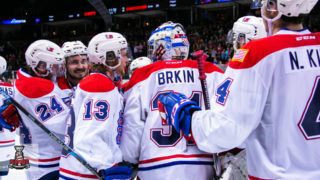 – NHL Central Scouting issued its preliminary ‘Players to Watch’ list for the 2019 NHL Draft Monday, with 35 Western Hockey League players making the grade. 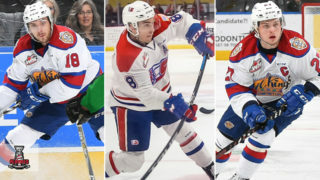 With a strong crop of draft-eligible talent, seven WHL players were given “A” ratings, including Lethbridge Hurricanes forward Dylan Cozens, who is in a three-way tie for the WHL scoring lead with 10 points (5G-5A) through four games. Also making the top grade were forwards Kirby Dach (Fort Saskatchewan, Alta. / Saskatoon Blades), Nolan Foote (Engelwood, Colo. / Kelowna Rockets), Peyton Krebs (Okotoks, Alta. / Kootenay ICE), and Josh Williams (Langley, B.C. / Medicine Hat Tigers). Making the top grade as defencemen were Bowen Byram (Cranbrook, B.C. 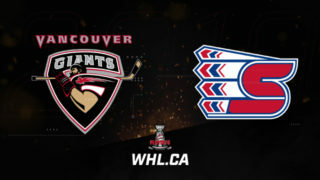 / Vancouver Giants) and Matthew Robertson (Sherwood Park, Alta. 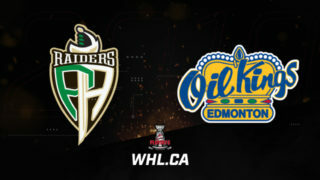 / Edmonton Oil Kings). All seven players who earned “A” grades helped lead Hockey Canada to a golden performance at the 2018 Hlinka Gretzky Cup in August. 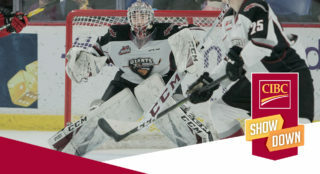 Five WHL players earned “B” ratings, including goaltender Taylor Gauthier (Calgary, B.C. / Prince George Cougars), who earned one of the three “B” ratings awarded to goaltenders across the entire Canadian Hockey League. 23 more more captured “C” ratings. In total, 19 of 22 WHL teams are represented in the ‘Players to Watch” list. 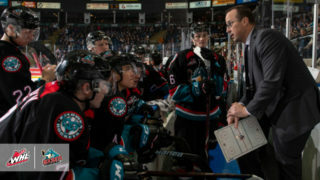 The Kelowna Rockets lead all WHL member Clubs with five players on this year’s initial list, followed by four for the league-leading Edmonton Oil Kings. The Saskatoon Blades are close behind with three while the Everett Silvertips, Lethbridge Hurricanes, Portland Winterhawks, Red Deer Rebels, Regina Pats, Seattle Thunderbirds, and Vancouver Giants each have a pair of players named to the list. Nine WHL teams have a single player ranked on the list. The breakdown favoured WHL forwards with 17 of them named to the list, with 12 defencemen, and six goaltenders also appearing. Six players selected in the 2018 Canadian Hockey League Import Draft by WHL teams also found themselves earning recognition, with second overall selection Vladimir Alistrov (Mogilev, Belarus / Edmonton Oil Kings) appearing on the list.